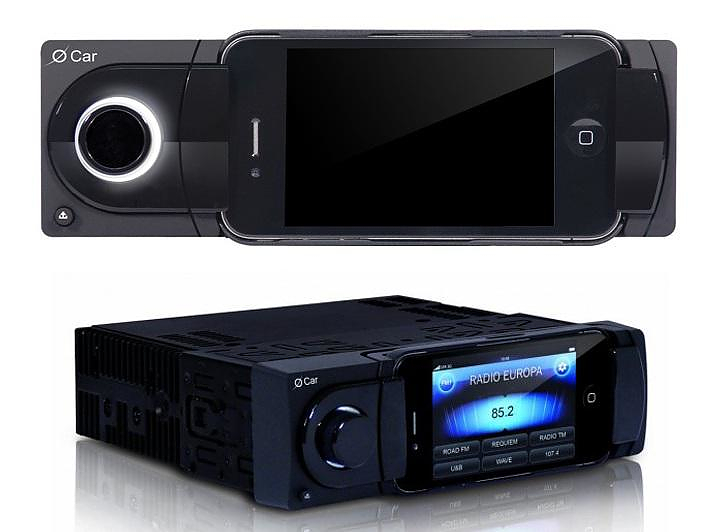 HomeBlogTechnologyOxygen Audio O-car, your iPhone becomes a Car Stereo. 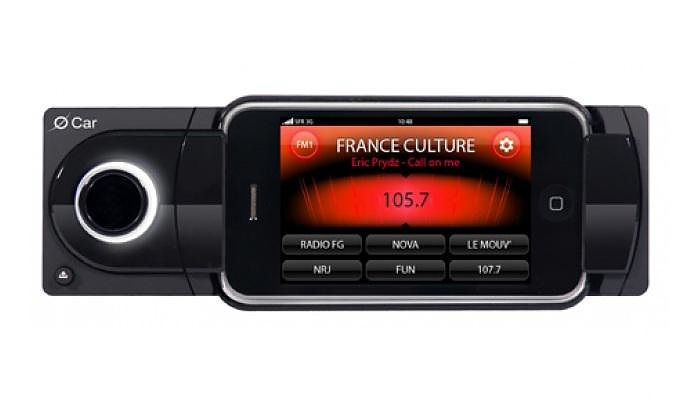 Oxygen Audio O-car, your iPhone becomes a Car Stereo. 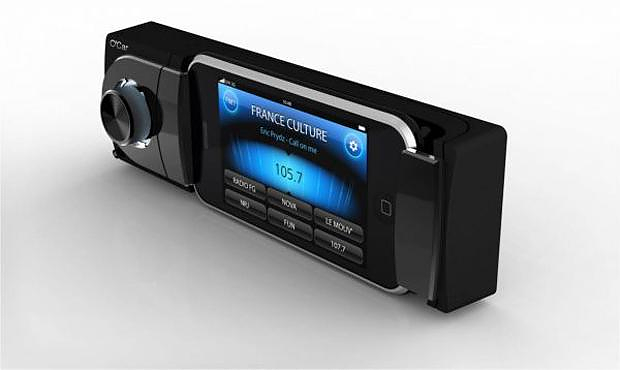 The O-car audio system by French electronics manufacturer Oxygen Audio is the world’s first car stereo that offers holistic iPhone integration. 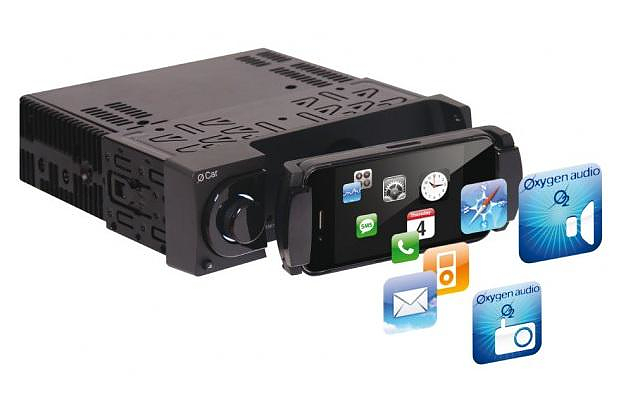 The O-car audio system integrates the iPhone physically, since you just snap the phone to the front of the head unit. A cantilever swivels the iPhone horizontally or vertically, and even angles it in any direction. 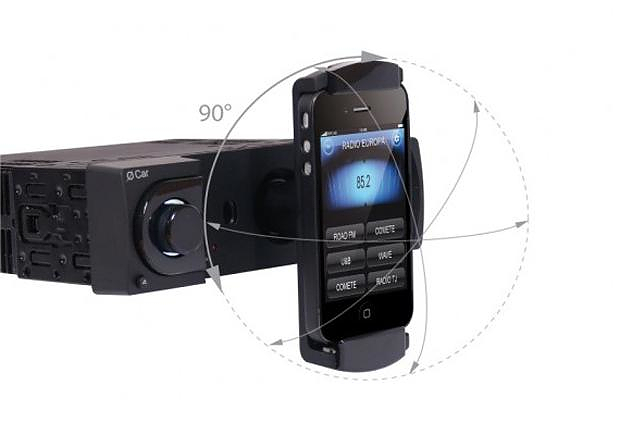 Gone are the days that you had to buy iPhone car docks and car charges with obtrusive wires hanging around. 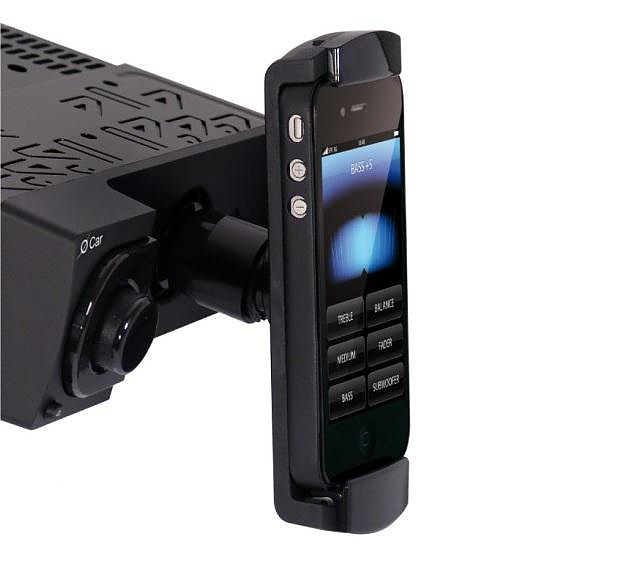 Also gone are those inconvenient removable anti-theft faceplates, as the iPhone becomes your audio system’s faceplate. 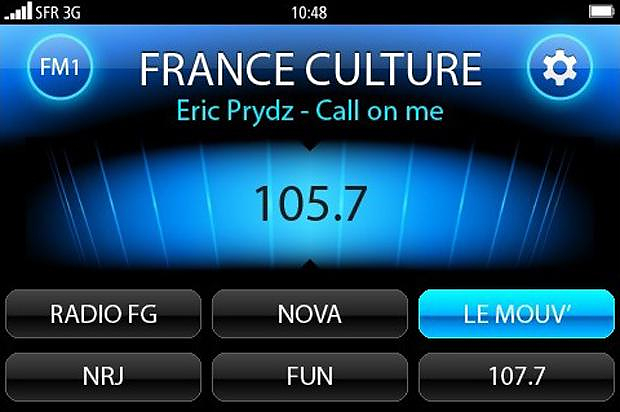 By installing a downloadable app the user has complete control over the car stereo through the iPhone’s responsive touch screen. In addition all installed iOS applications may be used in the car. You can effortlessly listen to your entire iTunes music catalog, make a hands-free phone call, synch a Bluetooth headset, use your GPS, or listen to your favorite hometown channel on internet radio. 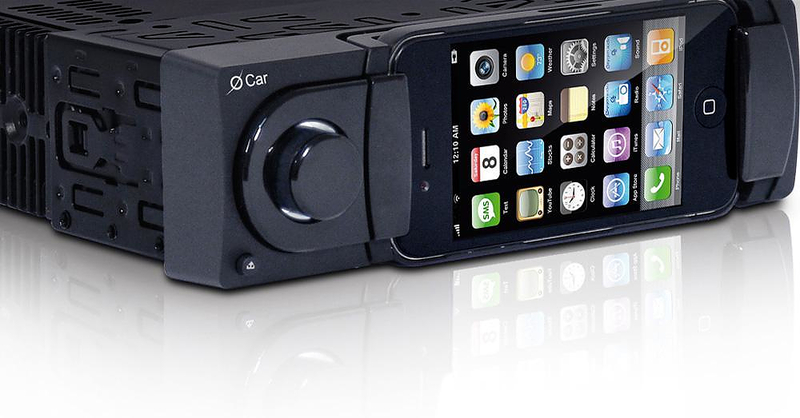 The Oxygen Audio O-car audio system is fully compatible with iPhone 4, 3G, 3GS, even with the latest iPhone 4S. 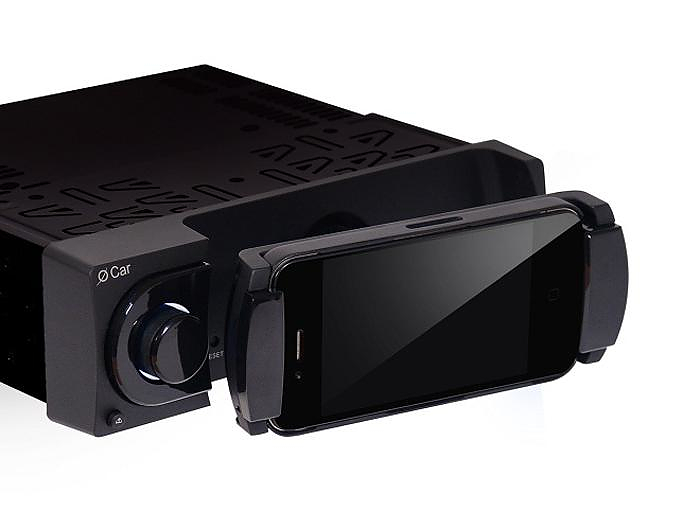 The Oxygen audio O-car is a standard single DIN head unit offering universal compatibility. 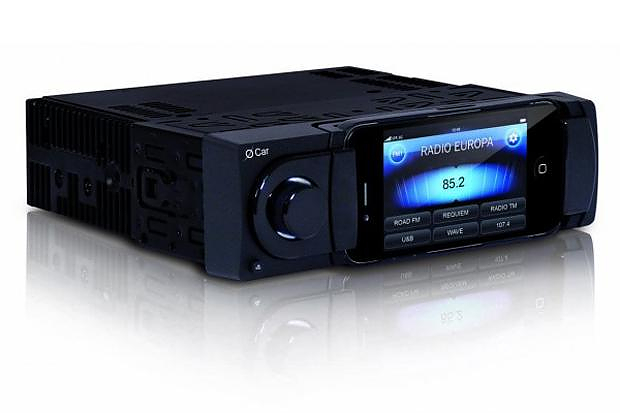 It’s built in RDS tuner ensures that you can still listen clearly to your favorite local radio stations and its 4x55W amp links to all of your car’s speakers to guarantee perfect quality sound. Meanwhile, your iPhone charges while it is clipped into the head unit. The O-Car app will automatically dim audio programs for voice prompts if you’re using turn-by-turn directions or receiving or making phone calls. 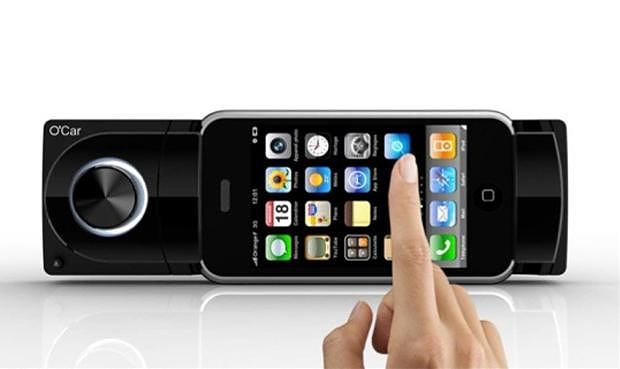 Integrating the iPhone in the audio unit is not just a way to of capitalizing on a technology trend. The main advantage of using smartphones as car entertainment platforms is that tend to they stay up-to-date. People upgrade their phone a lot more frequently than they upgrade their cars. By utilizing the powerful hardware found in modern smartphones and their excellent responsive touch screens you can enjoy cutting edge technology and performance in a cost effective manner. The Oxygen Audio O-car is expected to retail just below 250€. The only downside we can think of is that if you give the car to someone else, he must have an iPhone in order to use the car stereo. 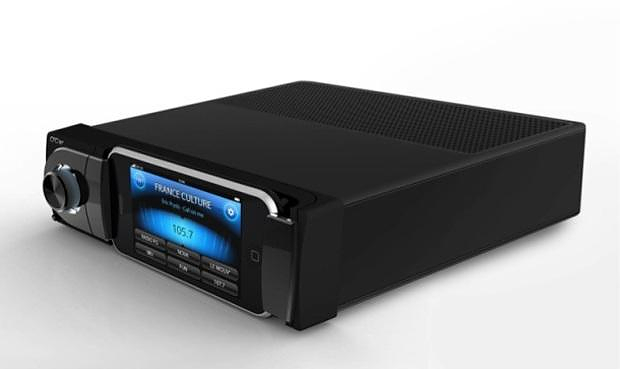 Nevertheless it is a sensible tradeoff for such an advanced car audio system. Should you decide to switch devices, according to Oxygen Audio spokesman Gregory Borchardt, they will be developing adapters for future iPhone devices, while aftermarket manufacturers are already developing adapters for Android phones. Valet, the ultimate iPad car mount by the Joy Factory. The futuristic looking Garmin HUD displays GPS driving directions onto your car’s windshield. Sennheiser OMX 980 High Fidelity In-Ear Headphones by BMW DesignworksUSA.